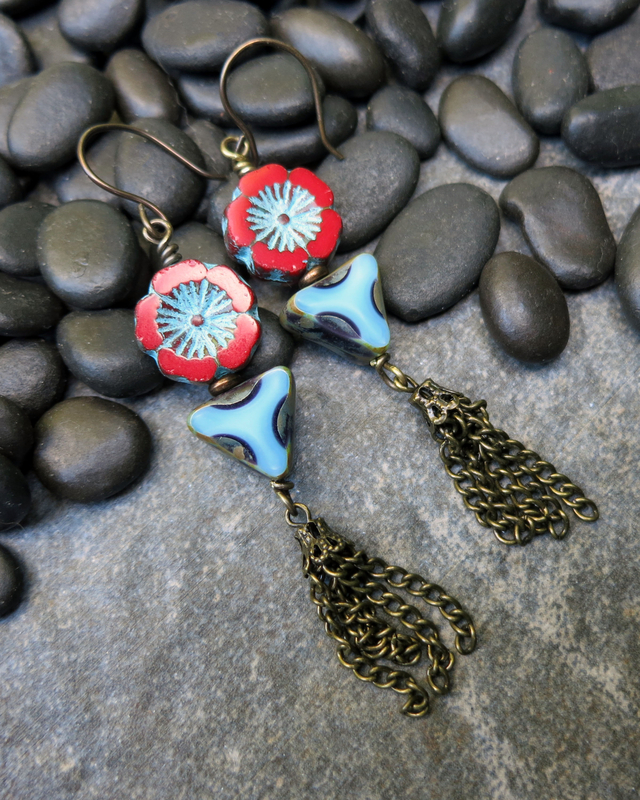 I made these earrings while dreaming about a getaway to a remote beach in Costa Rica that we've visited 2 or 3 times in the past. 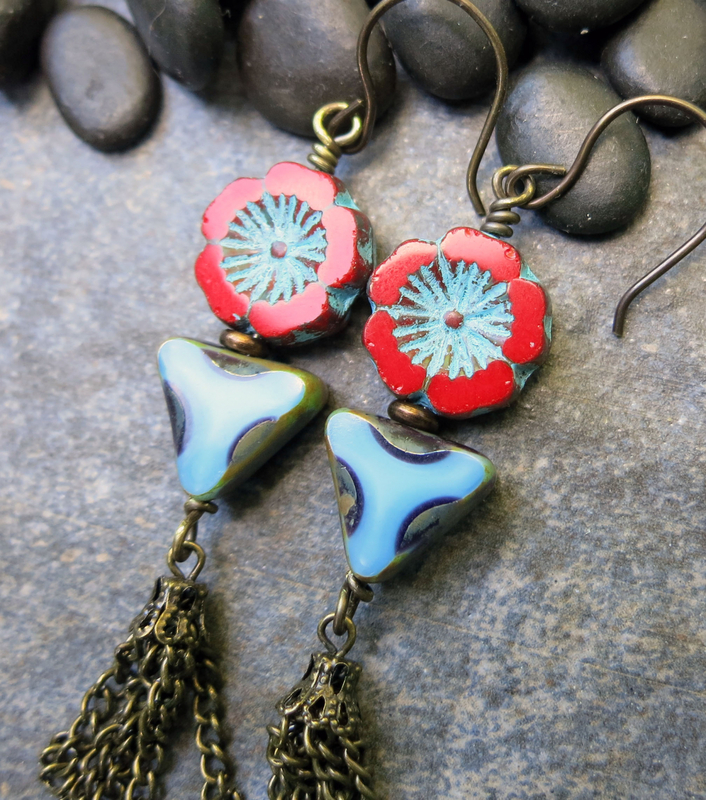 The exuberant flowers of the tropics are echoed in the bright red blooms that adorn these earrings and the turquoise waters are reflected in the turquoise flower centers and the triangle beads beneath. 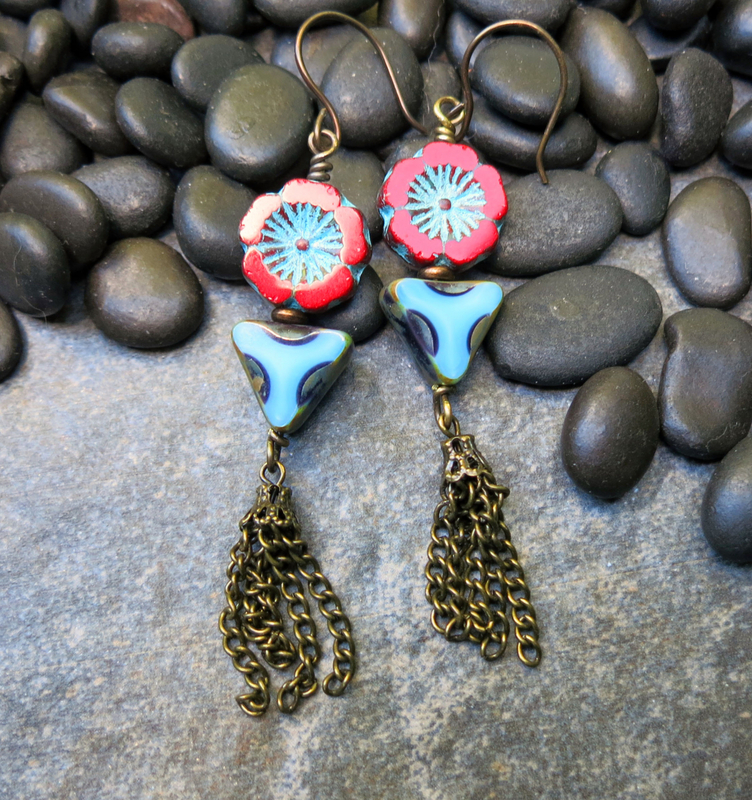 The swish of the fine chain tassels makes one want to just take a walk along the beach! 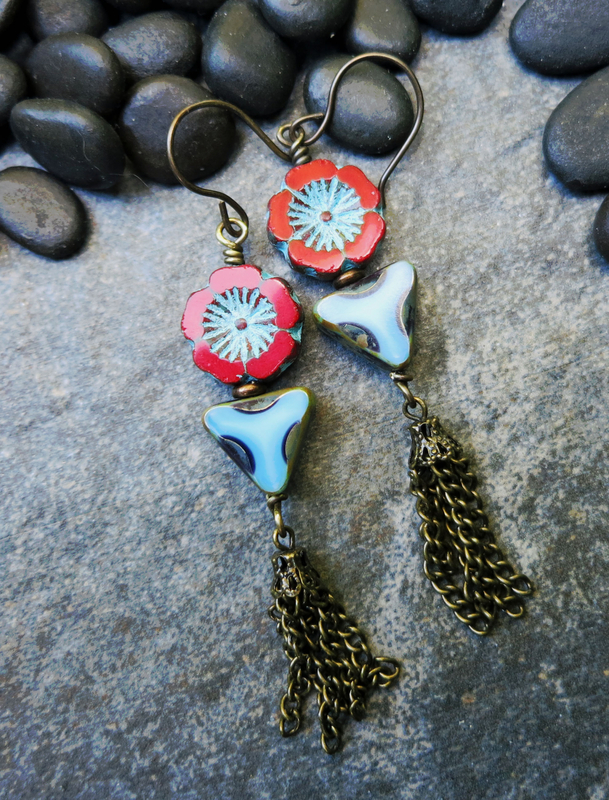 Even if you just wear these earrings to the grocery store, I believe they'll put a little extra boost of joy in your day. 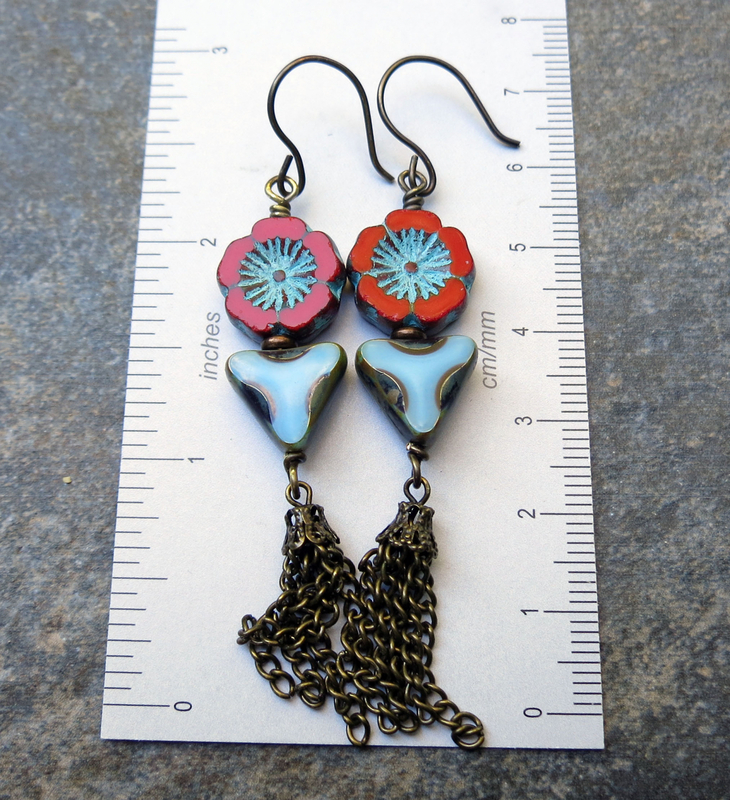 See last photo for earring length.